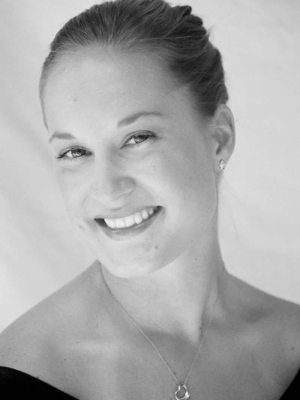 ADRIENNE is a dancer, teacher, entrepreneur and known for bursting into spontaneous dancing anywhere and everywhere. Born in Houston, Texas Adrienne began her career dancing at local crawfish boils to the tune of ‘These Boots Are Made for Walkin’ donning big hair and puffed sleeves in true Texas style. At the age of 7, Adrienne’s parents found themselves running out of space for her ever growing, first place trophy collection. Ever since, her time was filled with lessons in tap, jazz, modern, contemporary, clogging and acrobatics as her mother’s car traversed the Lone Star state. Adrienne knew she wanted to pursue dance as a life-long career while attending the University of Hawai’i at Manoa. This period of her life marked who she is today, setting the stage for Adrienne’s love of diversity in people and culture. Love and dance brought Adrienne to Atlanta, Georgia where she studied Dance Education at Brenau University. Adrienne is grateful for her extensive education at Brenau; however, the real work of her life began in 2005 when she started a small, on-site dance instruction business by the name of I Love Dance! In 2016, Adrienne opened her first brick and mortar dance studio. With growth and change came a new name, ‘Tatum Dance.’ Today, Tatum Center for Dance Excellence houses our Performing Arts Competition Teams and 100 recreational students. Tatum Dance Collective will always be Adrienne’s signature line of work where she can bring dance to busy, working parents all over metro Atlanta and serve children that may not be exposed to an arts education. Adrienne believes in preserving dance as an art form by teaching proper dance technique that’s affordable, inclusive and modest where it matters. Adrienne spends her days reminding her students that dance can be a powerful compass in life and likes to tell them that dance has always seen her through countless shenanigans. If you walk through the doors at Tatum Dance, you won’t just learn about dance, but rather how to laugh at and love yourself, how to reach goals through dedication and hard work and how to navigate life with grace and power. You might see Adrienne riding her bike around her beloved Tri-Cities area, eating chips and salsa or laughing with friends and husband on a patio in the sunshine. You may even see her break into spontaneous dancing- even if there’s no music playing.